A home restroom should be a place of peace and comfort. It should be neat and clean for relaxing rejuvenation. If your bathroom is small and cramped, it’s especially easy to get overwhelmed by all the little knick knacks that won’t fit anywhere. The time for spring cleaning is just around the corner. There’s clutter and disorganization everywhere that you just don’t want to mess with, especially in the bathroom. Spring cleaning can be much simpler if all the personal little items have a home. Whether your bathroom has built in storage or not, there are plenty of creative and adorable ways to utilize every square inch of space. Before that cluttered stress builds into a headache, check out these fun ideas for a tension-free spring cleaning. This nifty piece of furniture provides various-sized shelves for a variety of convenient storage options. 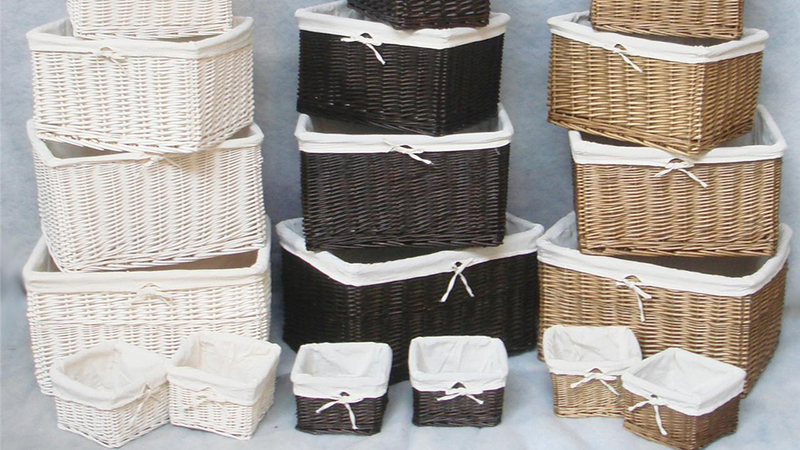 You can fill each shelf with a basket for towel and toilet paper storage. It would fit great along a narrow wall between the bathtub and the toilet. Additionally, it could easily double for storage in any other room of the house. When there are shared bathroom spaces, towels and other bathroom items can get messy. Consider drilling some holes for a metal or wooden peg rail. It will provide a great towel drying option and works great for additional shelving space above. There are a several options and variations for this depending on the open wall space and existing furniture options. Two great tower options for clean rolled or folder towels are utilizing a stacked on the wall or cubed cubby holders along a cabinet. Try using a recycled wine crate or wired milk carton. You can always use a coat of stain to match it to your current bathroom furniture tones. By reusing these types of vintage pieces, you’ll create an eco-friendly, contemporary bathroom. Not to mention adorable storage options. Check out the measurements of the space in your bathroom if additional cabinets sound good to you. 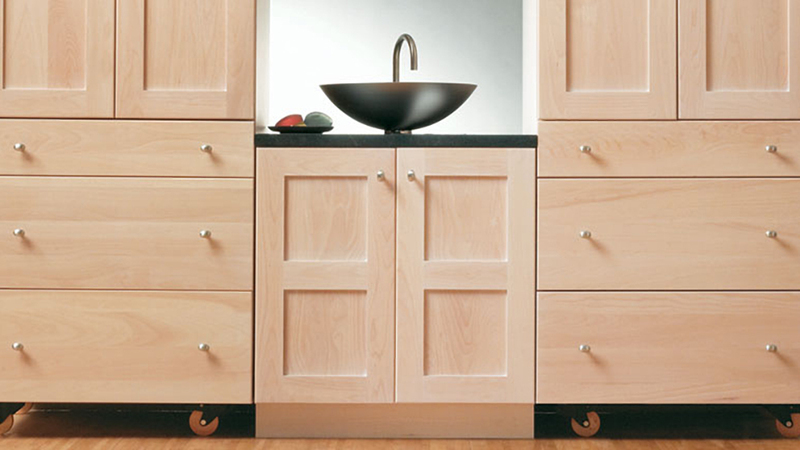 Whether it’s below the sink, above the counter, or on a side wall there’s a cabinet that can fit. Once you have the needed measurements, it’s simple to search online through various styles, wood types and designs. Anywhere that there’s wall space, there’s also storage space. When your bathroom is cramped and you want to keep the flooring clear, try the wall. 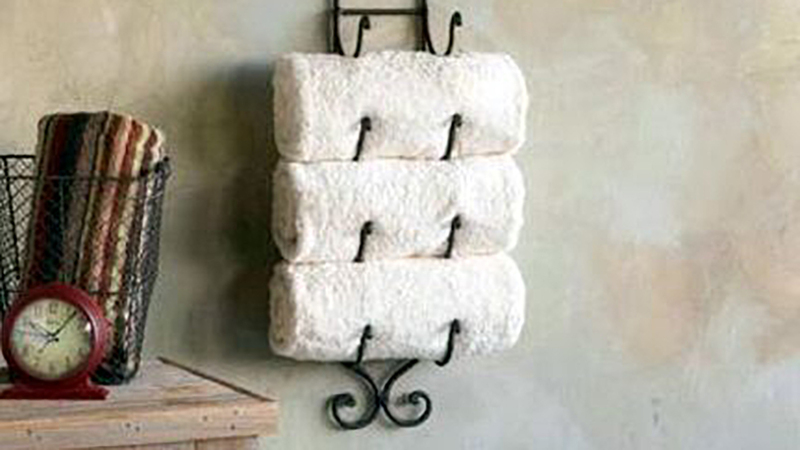 You can create storage with hanging baskets, quirky shelves, or simple towel hooks anywhere. Stack them beside your sink, by the toilet or tub. They’re both elegant and convenient. There are endless styles and designs to choose from as well as sizes. They provide easy, out-of-the-way access to needed toiletries. A large woven basket also works great below a wall-hung sink. When you’re searching for space that doesn’t exist, try rethinking the cabinet space you already have. There’s likely additional space that could be utilized with a bit of creativity. Try installing cabinet organizers. From jewelry separators to lotion and body cream shelving, there are tons of options. Clear off your counter and create little homes for your toiletries.